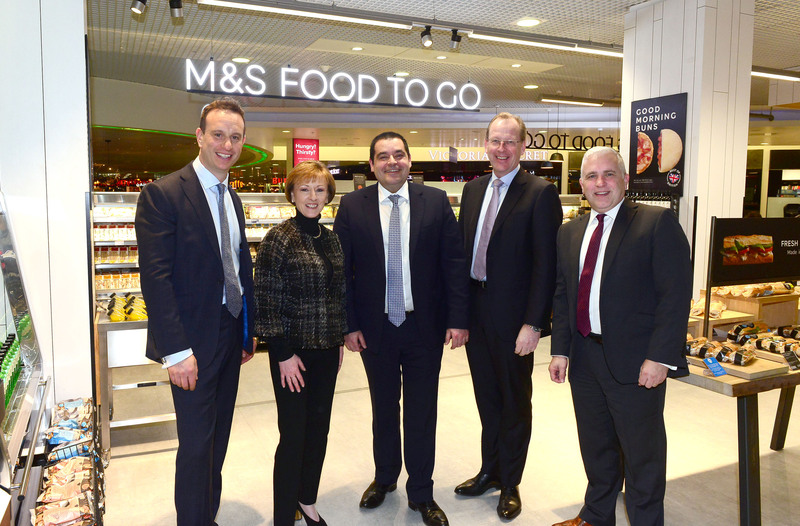 Kate Swann, CEO of SSP Group, and Richard Gill, Commercial Director at Birmingham Airport, have today marked the opening of the first ever airside M&S Food to Go concept. M&S Food to Go, operated under franchise by SSP, is offering a selection of all-day food and drink products including wholesome wraps, freshly made baguettes, sushi, salads, freshly squeezed orange juice, beers and wines. Hot food, such as bacon rolls, hot sandwiches and soups are also available as are freshly made pastries and cookies from the in-store bakery section. Customers can enjoy M&S coffee and other hot drinks from specially trained baristas.